Today is the first of my Holiday Gift Guides....I am starting with a dream with list for "HER". All of these items are incredible. There are so many great things out in the stores now it is so hard to choose. Last week when I interviewed uber stylist Cricket Burns, she told us that anything Gucci is a must have. 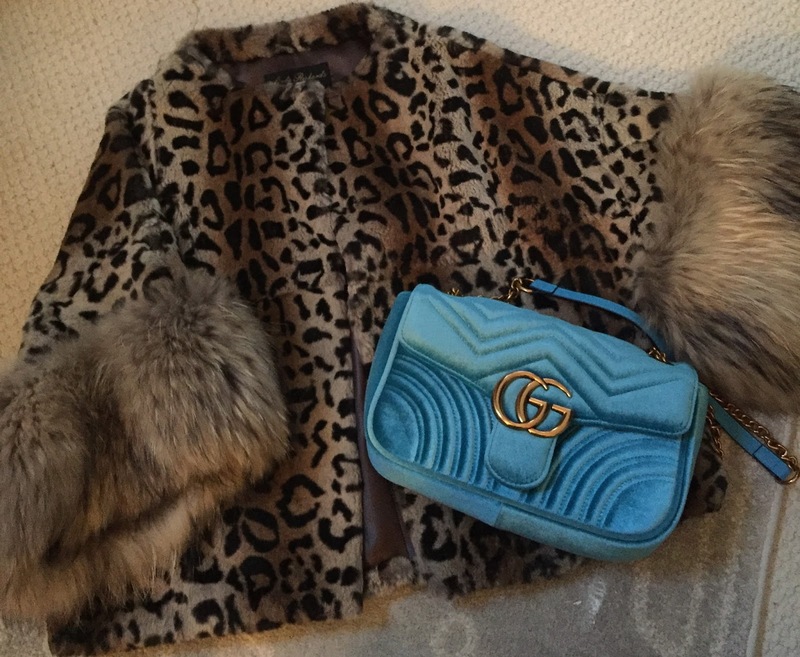 If the bags or shoes are not in your budget, there are some great Gucci scarves out now (but are selling fast) and many vintage items available on eBay. Fur, both real and fur, still tends to be on the most wanted list as well. And the Dyson hair dryer is incredible. It is as powerful as a leaf blower and dries your hair in a minute and leaves it so full and silky!!! I am in love with this amazing suede poncho from W by Worth. To order or for more information, email susannecarroll74@gmail.com. 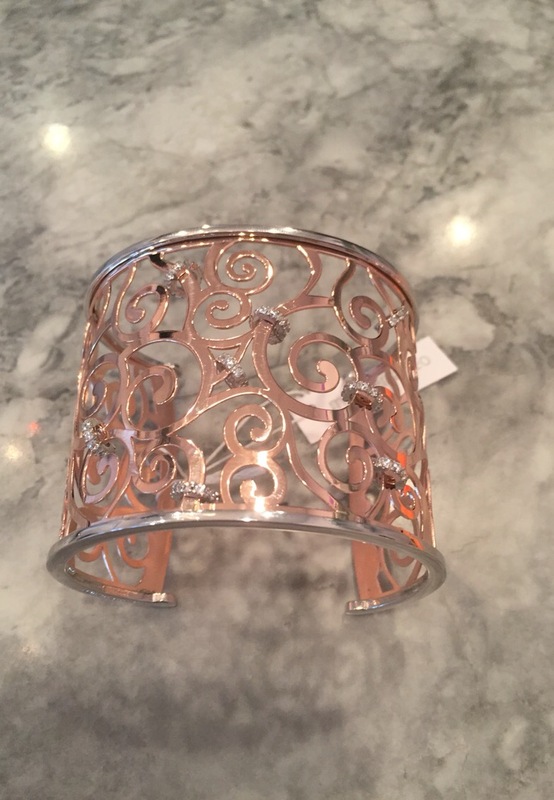 I saw this rose gold cuff at Skin Westchester today. It is so incredible on. It is right at the top of my wish list for sure!!! For more information, email JuliePipolo@gmail.com. Within the next two weeks, everyone will be putting up their trees and decking the halls. 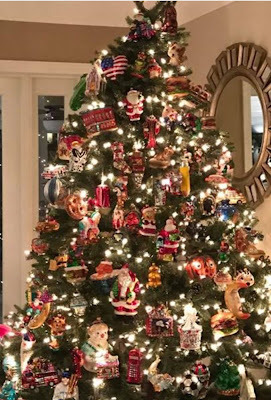 I love seeing all the festive trees and decorations but I have to admit, I dread decorating!!!! 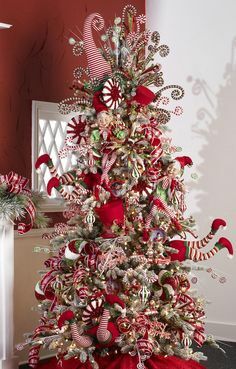 The tree is the first step. My mom started collecting polish glass ornaments for my sister and I a long time ago. She took so much pride in picking out every single one. 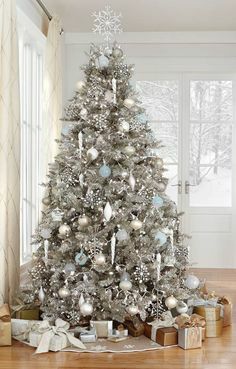 I have my ornaments packed away waiting to pass down to my girls and these days, I decided to change it up and opted for a silver sparkly tree, which best suits my decor. But you can see my sisters gorgeous tree below. 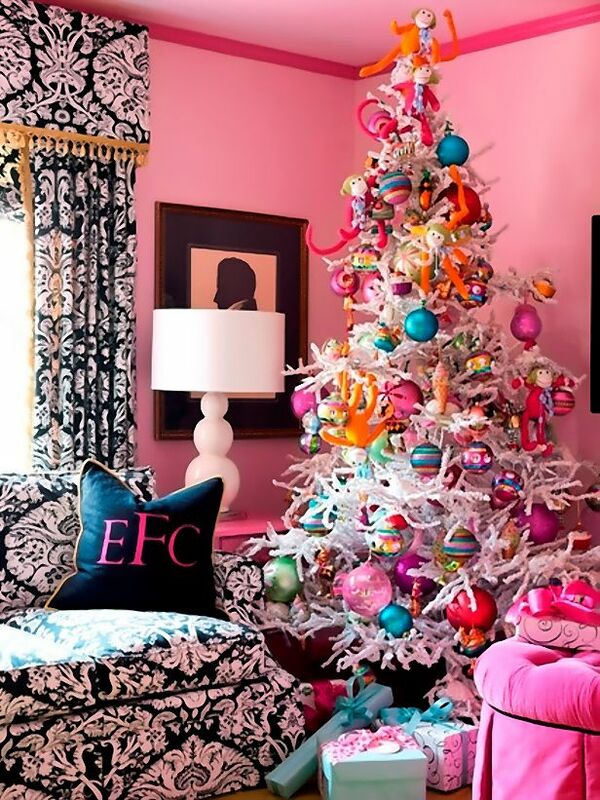 Whether you get a real tree or use an artificial one here are some fabulous tree ideas to get you in the decorating mood!!!! 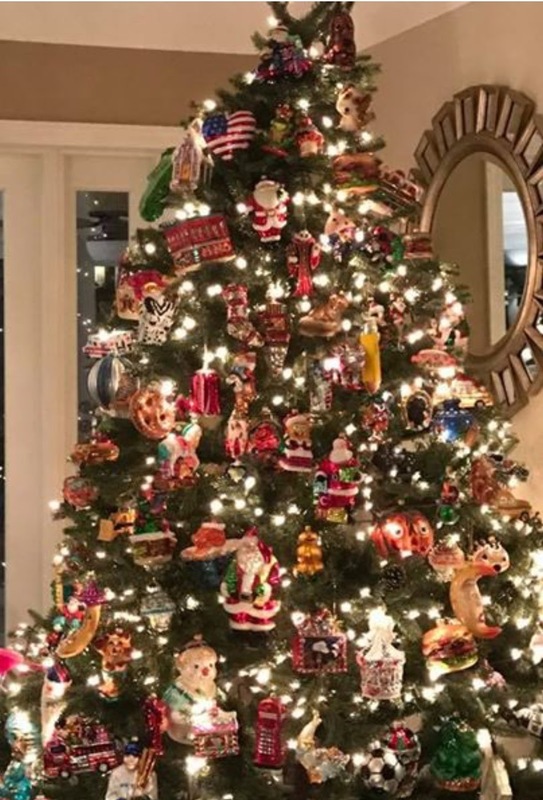 My sister's incredible tree with ornaments that my mother collected for us over the years!!! Year after year, I continue to make purchases from Linda Richards, New York. 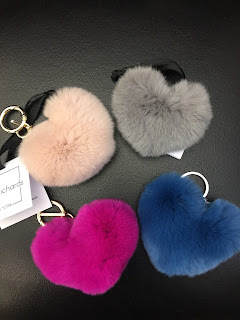 Their fur coats and accessories are the best around. 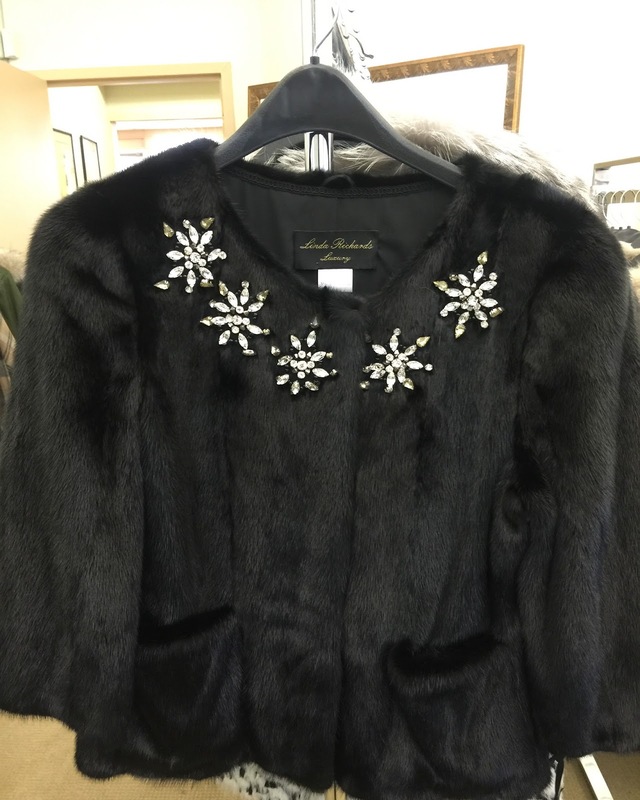 If you are looking for a fashionable fur piece for your wardrobe, than Linda is your goto. 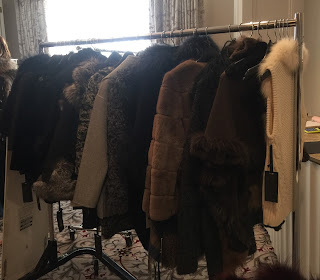 Throughout the year, I am invited to preview many designer lines and nothing I have seen comes close in design, quality or value. I recently visited the Linda Richards showroom so I could highlight some of my favorite pieces for you. 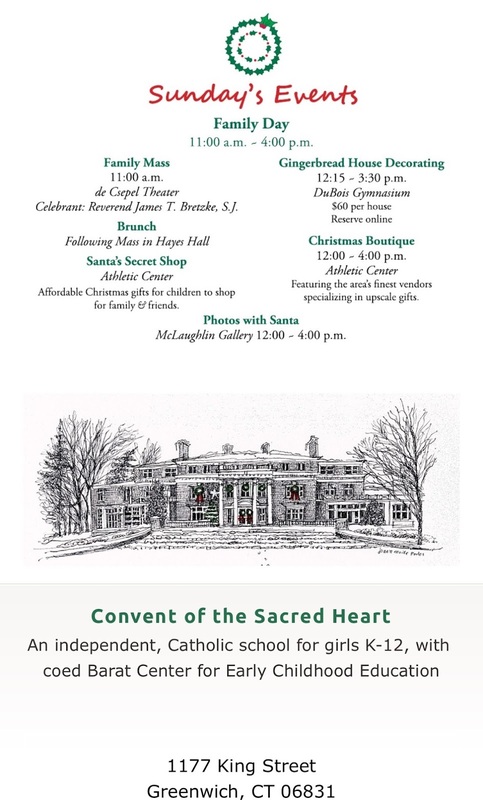 In addition to whats the below (I barely scratched the surface), Linda and her team will be bringing many of her best items to the Sacred Heart of Greenwich's Christmas Boutique on 12/4 (see invite below). 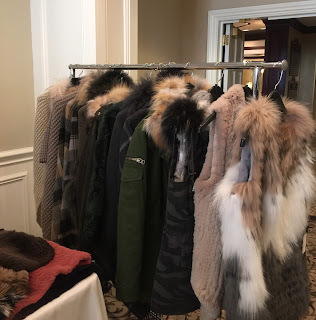 If you have any questions on anything showcased below please contact me at nicolesteinthal@me.com. 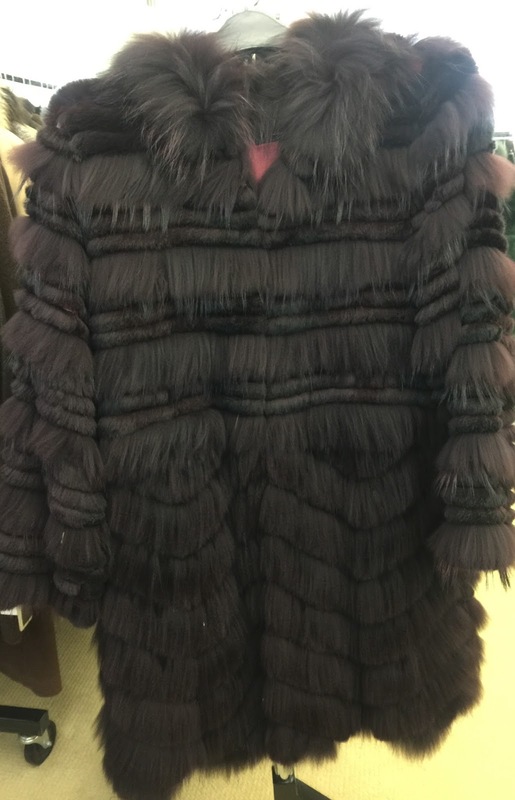 This is one of my favorite coats...not sure if you can tell, but it is a deep burgundy, almost black but with a little edge. How cute are these fur heart key rings..perfect for your new driver or college student! 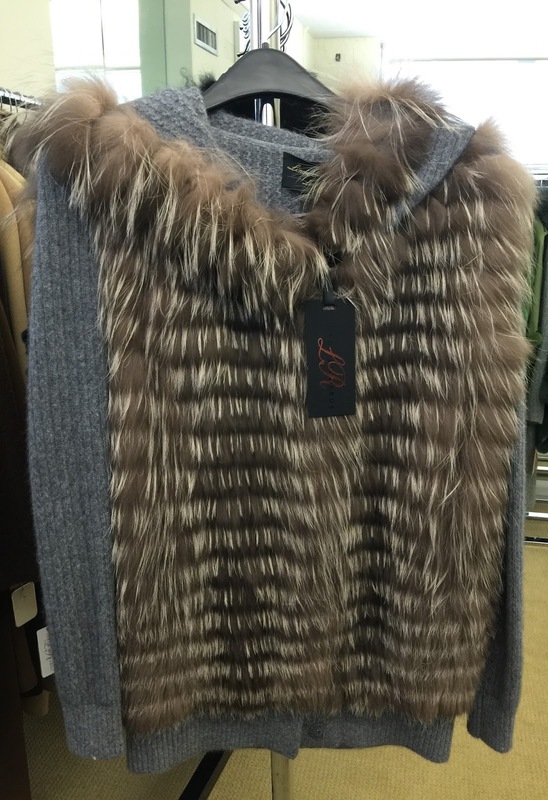 Linda always has a great selection of vests, fur lined jackets and sweaters!! 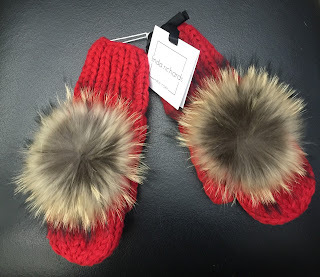 I have to say that one of my favorite items this year are these fur pom pom mittens. 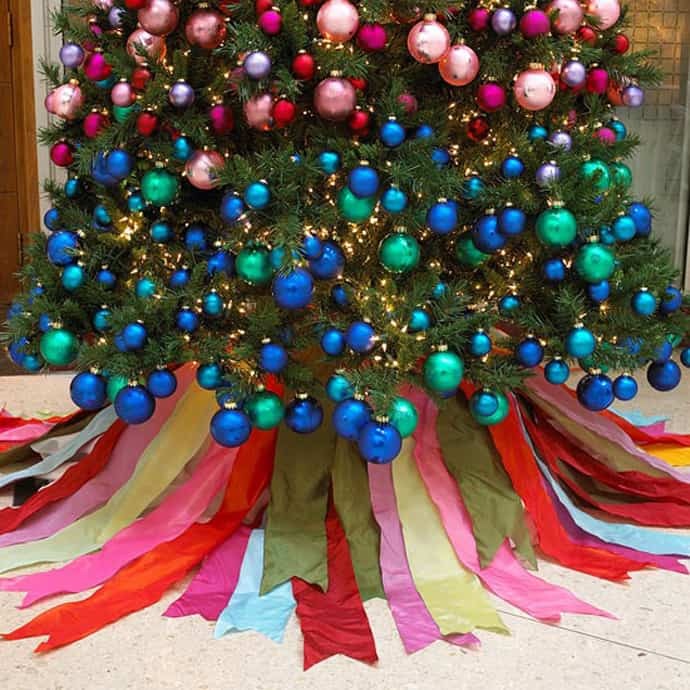 I can see someone wearing them skating under the gorgeous tree in Rockefeller Center. And, the red is just the best color. This short fur jacket with bling is just perfect for the Holiday season! Another favorite item, this vest is out of this world gorgeous!!!! 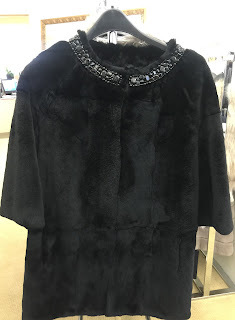 I also LOVE this longer jacket with the fancy collar over a little black dress for all your special events!!! 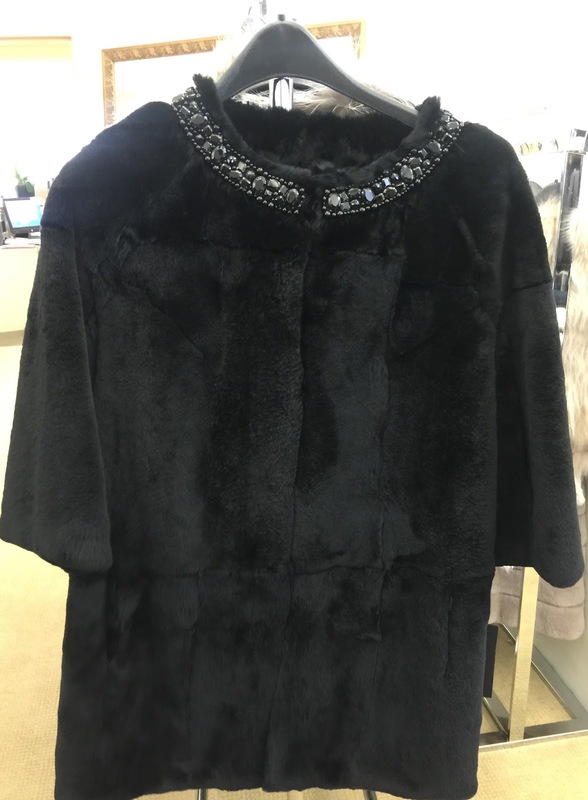 It's so classic and this will be a staple in your closet for years to come! This gorgeous sweater speaks for itself. I stopped dead in my tracks when I saw this sweater vest with an all mink front. It can be dressed up or down. Its AMAZING!!! 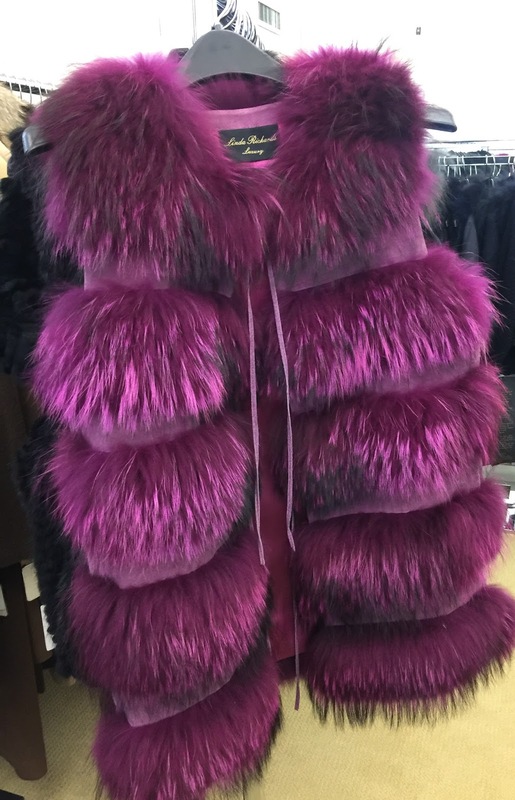 The section of fur scarves went on and on. Each one is more beautiful than the next! Another show stopper. 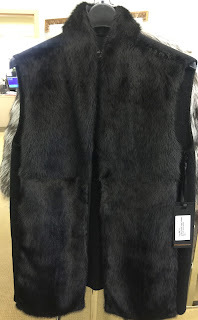 This takes the simple black fur vest to another level! I have been admiring this little jacket for a while. Definitely my favorite Linda Richards piece. 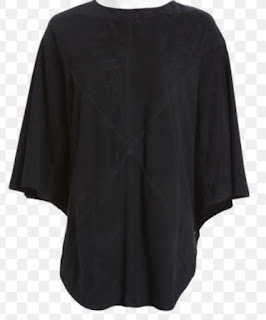 This poncho with a fox collar is gorgeous. These two scarves were standouts, an infinity fox collar and a mink pull through (it also comes in a beautiful brown color..its soooo hard to choose). Local peeps, come see Linda and all her offerings this weekend at The Sacred Heart Come Home For Christmas Boutique. Sauté bacon and onions until brown. Stir in the package of cheese, and peas until cooked. As much as I love shopping and browsing, I am not really a Black Friday shopper. I am going to spend the day with my family, reading, catching up on my DVR, and meeting my sweet friend Kris for coffee later this afternoon. When I have lazy days with time to surf the web, one of my favorite channels is You Tube. There are so many instructional videos from cooking, to organizing to decorating, to fashion and so much more. I absolutely love it. Here are some of my favorites right now and I thought if you too had some time away from shopping you might enjoy them!!! Bon Weekend!!! 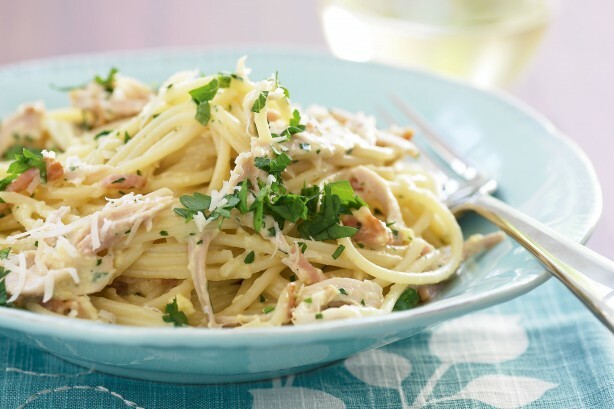 OK..hands down this is my favorite..I have not tried it yet but the next time I need to chop an onion this is how I am doing it!!!! I love this...and these tips really work!!! I immediately through of my girls when I saw this video, and when my nephews were visiting we all made the cup light. It came out great and we had so much fun together!!! I cannot get enough of organizing articles/videos...this one has some great ideas!!! And of course, who cannot resist Gwyneth!!!!! What a treat to see her bathroom and her step by step beauty routine!!! Happy Thanksgiving To All You Fashionistas! 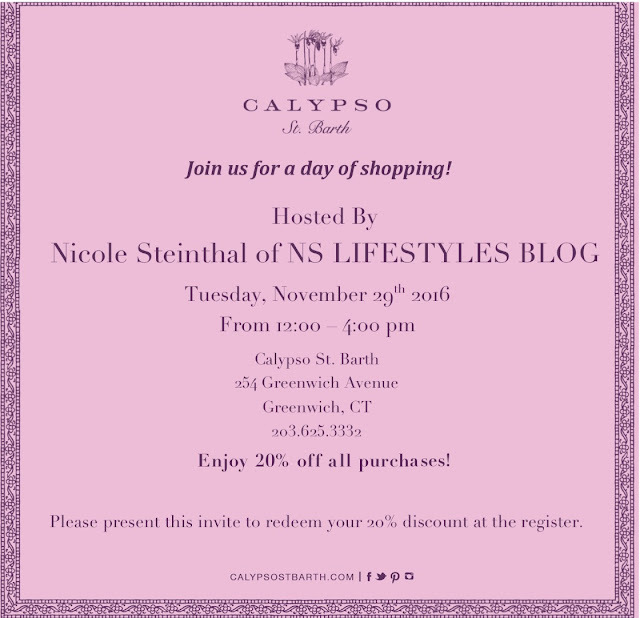 Next Tuesday, November 29th we are going to have another shopping day with Calypso in Greenwich. There is going to be a special 25% holiday discount on all purchase in addition to amazing raffle prizes, wardrobe styling tips and a light lunch fare. YOU ARE NOT GOING TO WANT TO MISS THIS. 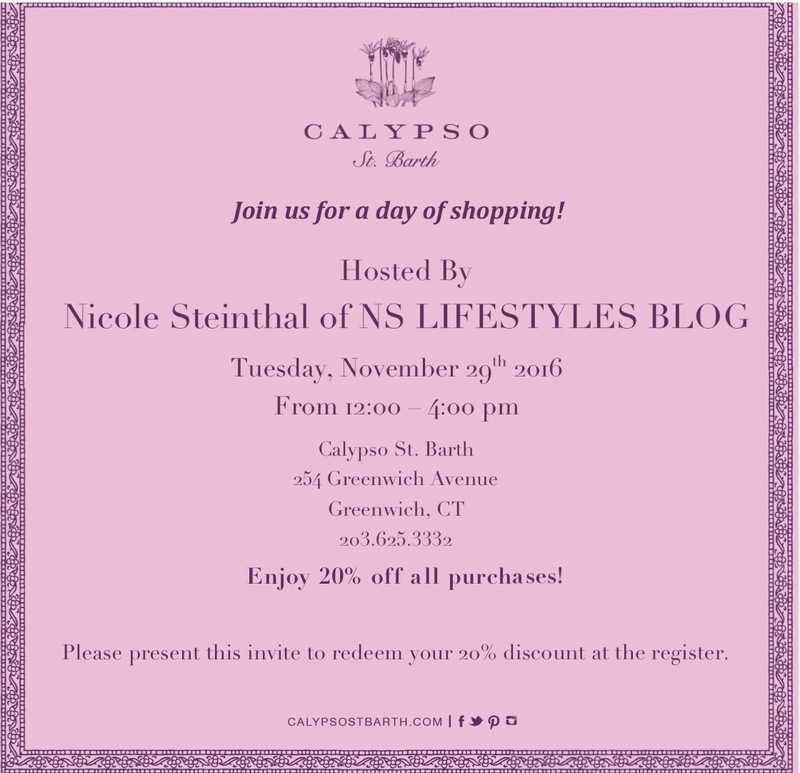 I will be there all day along with the uber fashionable Calypso girls to help you pick out the best pieces for your holiday wardrobe and gifts for everyone on your list!!! I am giving you a head start on this great day by choosing some of my favorites below. Are The Kids Home For Thanksgiving?